Start your review of Adriana Rueda. On October 2, 1998, at 14, Adriana and her mother, not knowing anyone here, left Cali, Colombia and moved to Coral Springs, South Florida. She spent some time helping burn victims by providing hair replacements. A friend spoke to her about Off Lease Only. Being a single mom, and concerned about the quality of life she wanted to provide for her 4 year old son, she decided to join the team in November, 2015. She loves the no pressure service that customers are treated with. Adriana thoroughly enjoys her time with her son, Gabriel, a “super fun kid”. And there’s Mia, their little dog who thinks Gabriel is her sole responsibility. When not busy at work, you’ll find Adriana kayaking, or watching movies with Gabriel, and eating popcorn! Favorite car? Subaru Crosstrek, “a reliable AWD car and very safe!” Favorite Quote: “Not all of us can do great things, but we can do small things with great love.” ~ Mother Theresa. We’re fortunate to have Adriana on our team! 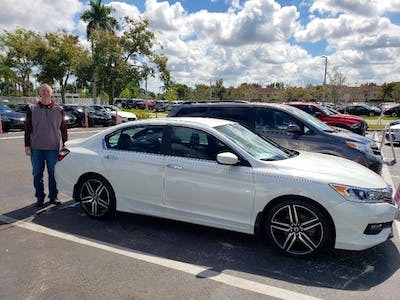 I traveled from KC to Fort Lauderdale to purchase a 2017 Honda Accord Sport for my son. Great price and service and definitely worth the trip. Adriana was my contact with OffLeaseOnly and took very good care of walking me through the process. I recommend this dealership to anyone looking for great service and a fair price. 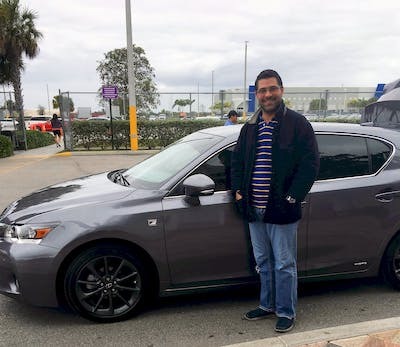 "Very good experience buying a vehicle"
Adriana was extremely helpful and responsive during the entire transaction process. She pushed to get all paperwork done and communicated with the bank to make sure the finances were in place. Could not have asked for a better customer experience. My only complaint is around some of the missing components on the truck, no mats were included and it only came with one key. I was a little annoyed about that and think it’s a relatively cheap thing to include and will keep customers happy. After searching my immediate area for the car I was looking for, I extended my search nationally. 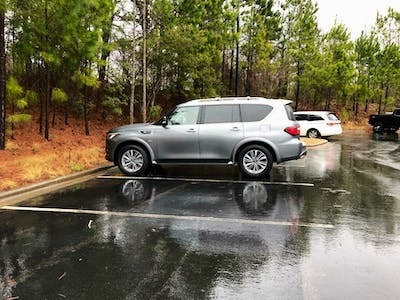 I found a great deal on my Infiniti QX80. 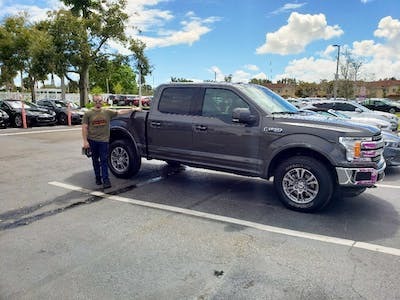 I was a little nervous about buying a car without seeing it in person. When I spoke with Adriana over the phone, she offered to walk outside and inspect it herself. She sent me pictures and assured me it looked and smelled new. The rest of the process took a little longer than anticipated, but they were very thorough and it was very easy on my end. The car was delivered to me and i was very pleased with two exceptions. It only came with one key fob and there is a significant scrape on the rear bumper, otherwise it looks and smells new. 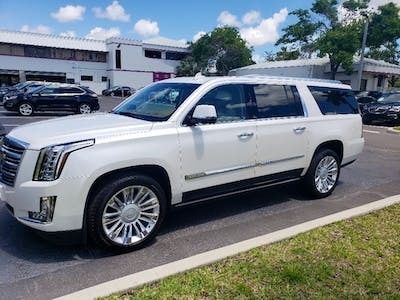 "Review of Sales Person (Adriana Rueda) at Miami Location"
I was very IMPRESSED with ADRIANA RUEDA and NOT IMPRESSED with the dealership at MIAMI, I want to set this distinction because it's very important. The Sales Person (Adriana) and the Sales Manager (Winfred) were very helpful and accommodating, but the dealership was horrible. I came to look at a specific car, and I had my financing plan in place, however RAY was very pushy and down-right derogatory to me. Maybe most people are reactionary and don't have a financial plan, however I did and he disregarded it. He highly offended my daughter as to the way he was talking to me. I work with a credit union and Off Lease Doesn't take drafts, so I worked with my credit union for other arrangements (despite Ray) to secure the car. Then Adriana made arrangements for us to take the car for an inspection and it FAILED MISERABLY! Off Lease needs to be able to work with people who have financial stability and have financing options that benefit them (instead of the dealership). I would buy a car from Adriana, but I will not buy one from Off Lease (Miami). This young lady was very helpful in helping us purchase a vehicle.She made the experience very painless,she did all the paperwork and wrapped it up in a short time.She is a good addition to your dealership. Adriana was very patent with us and was very pleasant to work with. She worked hard at helping us find a vehicle we were looking for. Thank you. Great job by Adriana, just working hard on trying to get us a good deal. 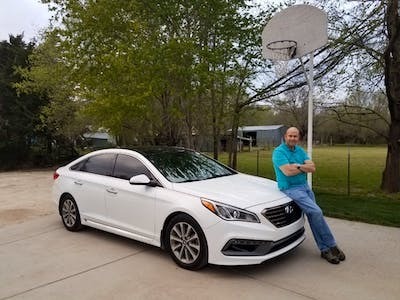 Thanks for your willingness to help me and my wife get our dream car!